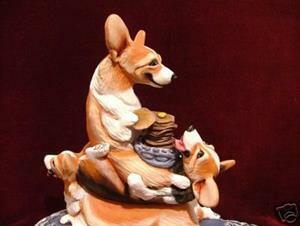 A Short Stack of Corgi's Enjoy a Tall Stack of Pancakes! 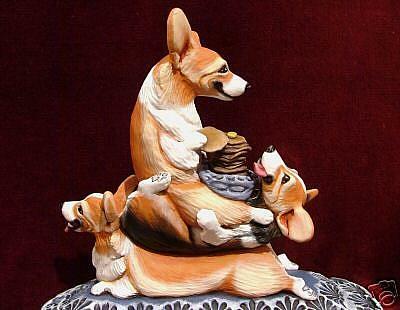 Here is a Short Stack of Corgi's enjoying a tall stack of pancakes! 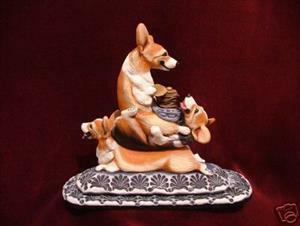 This was carefully sculpted in polymer clay, assembled and cured as one unit, painted in detail with acrylics and given a protective finish. The base was felt lined for that final finishing touch. This will arrive with a signed, dated and numbered certificate of authenticity that may be verified through the ebsq site. 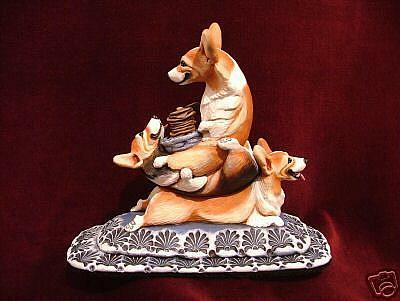 This would make a fun addition to your Corgi collection!